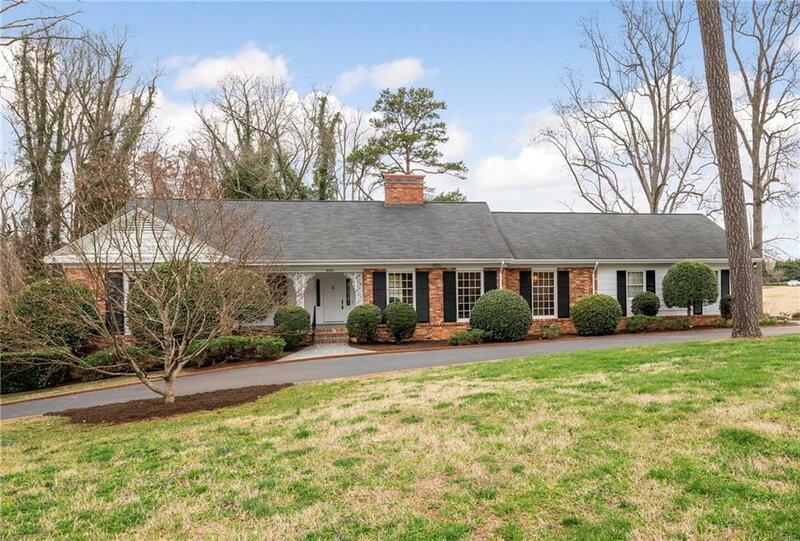 Gracious main-level living overlooking the town course of Lake Hickory Country Club! This spacious 5 bedroom home offers a main level with welcoming foyer, formal living room with fireplace and adjoining formal dining room, huge paneled den with fireplace, wet bar, and wall of windows overlooking the golf course. The spacious kitchen offers plenty of cabinetry, half bath, exit to the double garage, and breakfast room overlooking the green. The expansive main level master suite has a vaulted ceiling, his/hers walk-in closets, and bath with jetted tub, separate shower, double vanity, and skylights. Two additional bedrooms each offer a private bathroom and walk-in closet. The full lower level doubles as a 2nd living quarters, offering a huge den, 2nd kitchen, two bedrooms, full bath, laundry, craft room, and 760 SF workshop opening onto the backyard. The 1.33 acre lot offers 309 feet on the town course with long-range views to enjoy! Just around the corner from LHCC clubhouse, too!